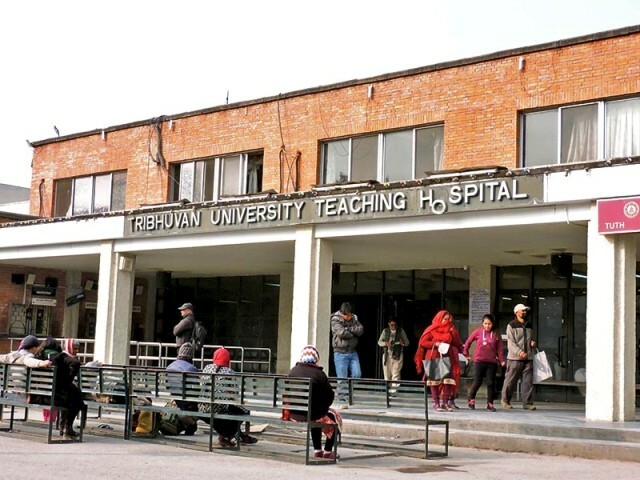 Kathmandu, 29 January : The Tribhuvan University Teaching Hospital has urged one and all to not organise any protest programme in the Hospital premises. Drawing the attention of the bodies concerned towards the hindrance caused to medical treatment of the service recipients due to relay hunger-strike, sit-in and other protest programme, the Hospital management has urged its health workers to provide regular health service. The press release issued on Monday by Executive Director of the Hospital, Prof Dr Prem Krishna Khadka stressed that the health service of the Teaching Hospital, where the general people have easy access to it, should not been obstructed. The Nepal Medical Association on Monday had organised a relay hunger strike at Hospital premises, demanding to save the life of agitating Dr Govinda KC.